Tesoro are a brand that are pushing boundaries and driving innovation in regards to developing new products for gamers, something that is essential to a very busy, highly competitive market. 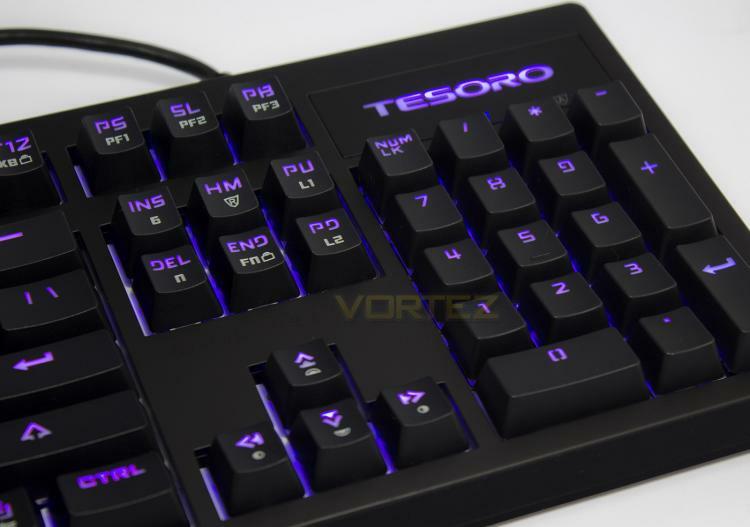 Part of this ambition has lead Tesoro to develop their own custom optical key switch and are amongst the first wave of manufacturers with a keyboard touting this technology that is now available on the market. The move towards optical switches has long been coming since making its big splash last year, and it is likely that we will see an increase in products using this technology. Tesoro's own optical switches uses a similar approach to the A4tech Light Strike "LK" switches, over the FlareTech 'analogue' type. The LK switches uses an infra-red beam that has been blocked by the stem of the switch, once the key is depressed the beam then passes through to the sensor and registers the keystroke. There are various advantage to this technology, firstly it is much faster in its response rate due to removing key debounce noise (a secondary contact with the metal connectors on the return bounce which has to be factored-in when reporting keystrokes. This process of filtering out the debounce noise can add up to 30ms of delay to a key actuation. Due to the benefit of having less 'actual' mechanical reliance, optical switches are also more durable as there is no wear or oxidation of the metal contacts to worry about. These features are highlighted by Tesoro's claim that their switches have a 0.1ms response rate, and have been given a keystroke life cycle of 100million. The Excalibur SE Spectrum itself has some other tricks up its sleeve too, including RGB lighting and a driverless design, not to mention that the switches are hot-swappable, allowing you to easily remote the switches and replace them with other types depending on preference.